The Simonton Madeira, also called the Simonton 7500 Series, is a West Coast vinyl replacement window series that is sold through both Simonton distributors and through the big box stores. The Madeira vinyl window uses a slightly wider frame than many other replacement vinyl windows that gives it a more traditional or classic look. The intent is to mimic the look of painted wood windows on more traditional homes, but obviously without the requirements of wood, such as painting and staining - and of course at a much more reasonable price point. The Simonton Madeira Series comes standard with their ProSolar glass package (low-e and argon fills). Additional standard features includes a fusion-welded sash and frame, a Lap-Lok meeting rail, a stepped sill, a single lift rail, as well as a tilt-in and lift-out option on their single and double hung windows. The Madeira can be ordered as a two lite slider, single slider, double hung, single hung, picture window, bow, bay and in a number of geometric shapes and styles. In terms of frame color, the Simonton Madeira window can be ordered in a white or tan on the interior and a brick, tan, bronze, driftwood, chocolate, pine and cream on the exterior. In terms of hardware, the Madeira comes in standard white and tan, or in an optional upgrade to dark bronze, satin nickel or polished brass. Simonton Madeira window prices should run somewhere in the neighborhood of $30 to $45 per square foot for the window itself. In terms of cost and quality, it's comparable to Pella 250 window costs and Norandex Viewpoint prices. The Simonton Madeira model with the ProSolar glass package, which is a low-e glass with an argon fill, should have a U-factor around .30. With the Eco3 triple pane option, consumers can expect the U-factor to come in at around .23 and the SHGC at around .24. In general, the Simonton Madeira gets decent numbers, it's not a world beater by any means, but it's not bad at all. The Simonton Madeira windows warranty includes a double lifetime limited warranty on the mainframe (and all vinyl materials), components, screens and hardware. 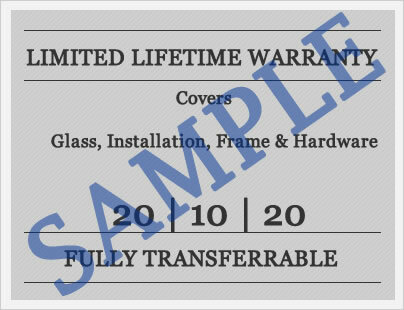 The warranty does not cover glass breakage, laminated glass, interior laminates or factory applied coatings. This warranty is transferrable if you notify Simonton in 30 days from the ownership transfer date and complete the onlnie warranty transfer form. Simonton offers a number of different warranties on their products that will vary slightly, depending on whether you live in the western or eastern part of the country. 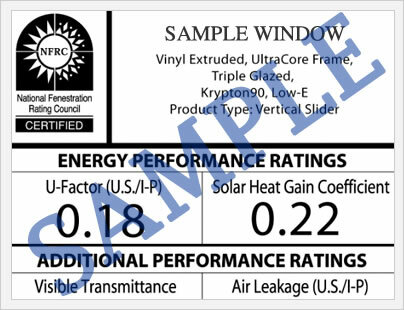 Consumers should always read the warranty for the specific Simonton window they are considering to get all of the specific details. Do you have a review on the Simonton Madeira window? If so, simply fill out the form here to the right and let us know about your experience, good or bad, to help other consumers make the best decision for their window replacement project. Have a question about Simonton Madeira windows? Our site editors, John and Jim, can answer any questions you may have on the cost, quality and installation requirements on this vinyl replacement window. Ask it here and Jim or John will get back to you directly (remember to include your email).